Kiwi Chick on a Mission: Big plans are afoot! I've been a little slack on the blog front but I blame the fact we've been busy in the great outdoors and therefore not home all that much. 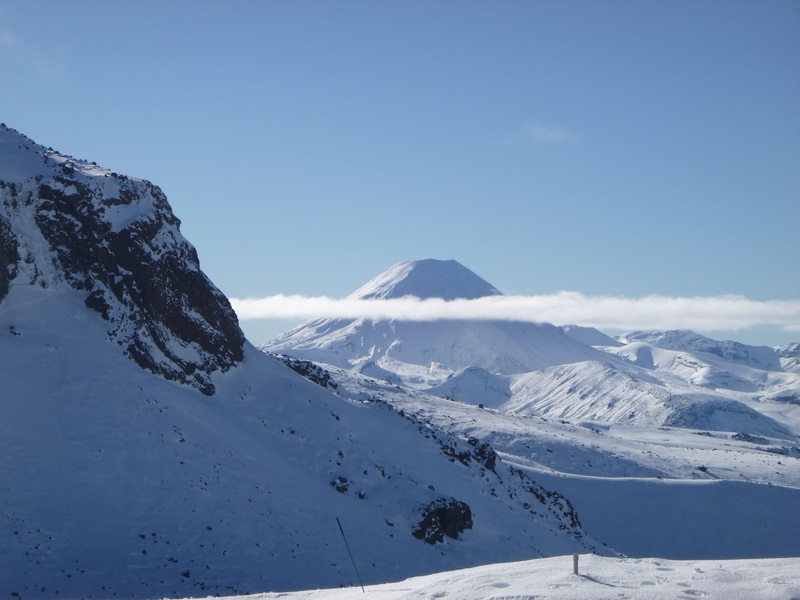 Over the last month or so we've completed a three-day tramp over Queen's birthday weekend, attended an alpine instructor's workshop weekend on Mt Ruapehu and went ice-climbing on Mt Ruapehu this past weekend. The plan is to climb Mt Aspiring this Christmas so the heat is on to get fit and increase skills ready for that. Here are a couple of photos to show what Mt Aspiring looks like. The first photo shows the Bonar glacier in the foreground and northwest ridge leading up to the summit on the left-hand side. 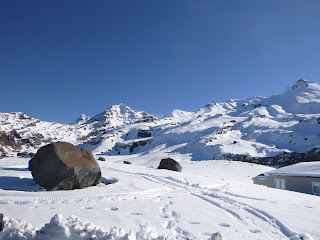 There are a couple of options for the exact route but it's either up that ridge the whole way or start on the front of the ridge by the glacier, head up a snow ramp and then join back on to the ridge to climb to the summit. Which route you choose depends on the conditions at the time. It seems that if there is a lot of snow then you go up the ramp. If there is not much snow then you go up the ridge. This second photo shows the last bit of the ridge leading up to the summit. Looks pretty good, huh? Fingers crossed we get a good weather window and have a great day like in this photo. This past weekend we were based at Tukino, on Mt Ruapehu, where there is a small club skifield. They haven't opened for skiing just yet but are due to open on 21 July. We shared the lodge up there with 20-something members of the NZ Alpine Club who were up there on an annual climbing weekend.